Our Festival Series offers a unique value proposition for our Sponsors, encompassing massive marketing exposure across a broad demographic – plus much more. 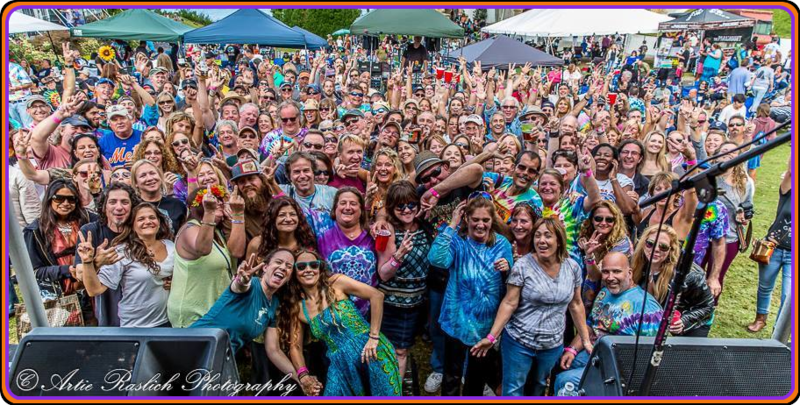 During the past 17 years Rich Rivkin’s events have built a tangible sense of community among thousands of attendees, many of whom are “regulars” taking part year after year. Tremendous good will and brand recognition have evolved over time, as familiar faces reunite to share in a mutually cohesive experience: themed music festivals, where most of the audience sings along in unison with their favorite tribute bands – while witnessing spectacular works of art come to life, by dozens of Live Painting artists. These deeply rich cultural/social bonding experiences have engendered a high degree of fan loyalty, and near-viral social media proliferation. By associating with the Rich Rivkin Presents brand, festival Sponsors have a unique opportunity to capitalize on this energy, as well as benefit from our highly visible publicity. For more information contact Rich Rivkin at 631-261-2941. Barter arrangements will be considered.